“World Toilet Day is an important day to remind us that more than 2 billion people are still without adequate and safe sanitation. This means a large proportion of the global population is facing a very high risk to their health. On the water, sanitation and hygiene (WASH) sector overall, Dr Ali expressed concerns. 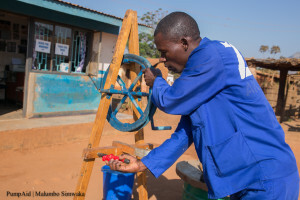 “As we all know, the sanitation sector needs a lot of attention and in the last five years, many governments, donors and organisations have paid attention, but we need to do more. We need to do things differently. “The sector is facing several challenges. This includes the challenges of sustainability, poor use and maintenance of facilities and achieving behaviour change. “In some cases, governments do not create enough space for other stakeholders to play a role. We asked Mansoor what he thought of the quality of WASH applications received through UK Aid Direct, and if he had any suggestions on how these could be improved. “The overall quality is very good, but applicants could strengthen further their approach to sustainability. “The geographical areas identified could be more specific, supported with needs assessment, data and information. The Small Charities Challenge Fund (SCCF) is currently open to applications, with the next review date Thursday 28 March 2019. Dr Mansoor gave some words of advice to future UK Aid Direct applicants. Dr Mansoor Ali is a WASH sector specialist with more than 32 years of experience. He currently teaches, mentors and conducts research & consulting assignments. As many of our grant holders will know, this week is World Water Week, an annual event that brings together practitioners, innovators, and professionals from a variety of sectors, to exchange ideas, network, and to develop solutions to water-related challenges. The theme this year is ‘water, ecosystems and human development’, and it is taking place in Stockholm, Sweden until 31 August. 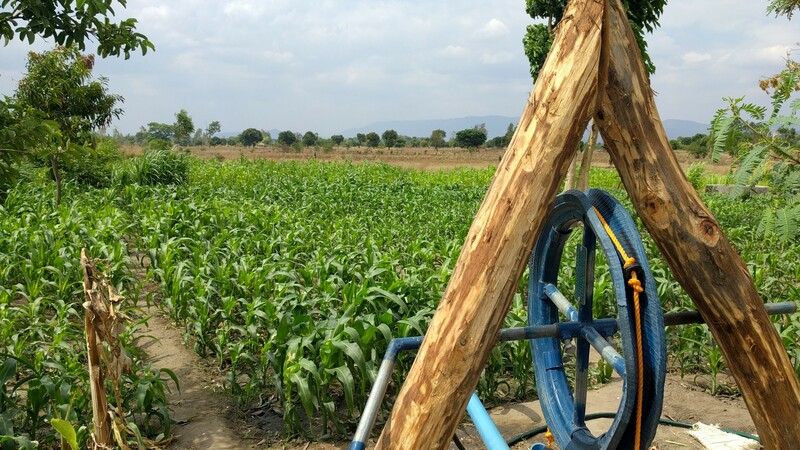 For every funding round UK Aid Direct receives a number of applications to support water-specific projects (WASH) and we work closely with partners the Water, Engineering and Development Centre of Loughborough University (WEDC), to select the strongest of these. Pump Aid is an Impact grant holder working with some of the poorest and hard to reach communities in Malawi to provide safe water and toilets. “The UN Sustainable Development Goals set ambitious targets for future development but, in our drive to increase economic development and human resilience, it is easy to overlook the effect such actions have on the environment and vital ecosystems. 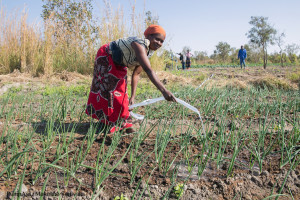 Pump Aid’s (DFID-funded) self-supply programme seeks to address both these objectives by helping rural populations increase their access to water and improve their efficient use of it. 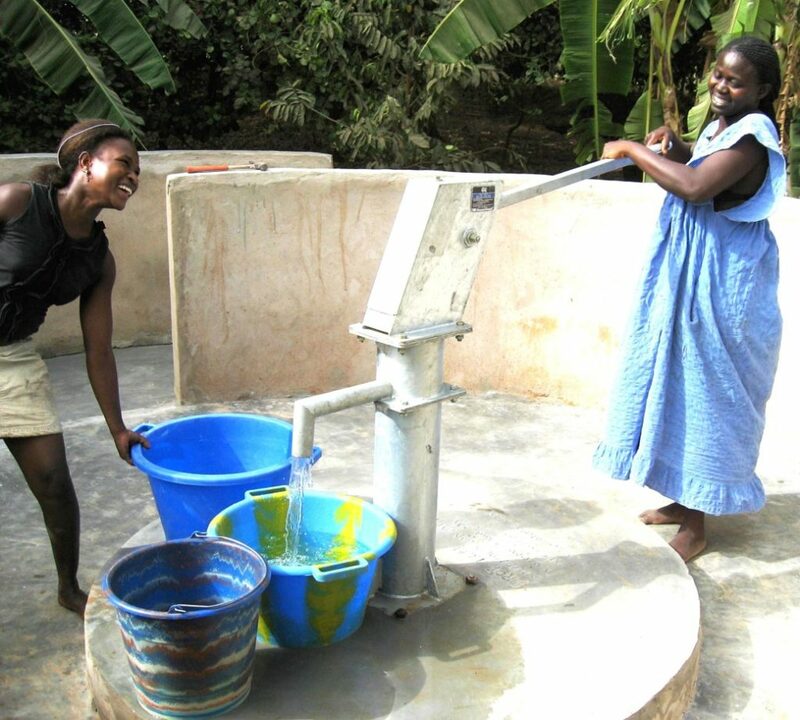 Community Partnership grant holders WellFound believe that clean water not only tackles direct issues such as water-related diseases but it also provides a solid base for communities to grow and take further steps to improve their daily lives. For new Community Partnership grant holders, Alliance of Religions and Conservation (ARC), although water is not the primary focus of the menstrual hygiene project they are delivering in Uganda with partners Faith in Water, a lack of water is proving to be a big challenge for them. Especially in the rural schools they are working with. “Only 3 of the 12 Christian rural schools have a fully functioning water source within the school compound and for 3 of them the nearest water source is over 1km away. One of the Muslim schools, in a poor urban area near Kampala, had no water at all within 2.5km. “There were hand washing facilities in just 4 of the schools and in 2 of them this consisted of a single jerry can. Thank you to grant holders Pump Aid, WellFound and Alliance of Religions and Conservation for their comments on the use of water in their projects. 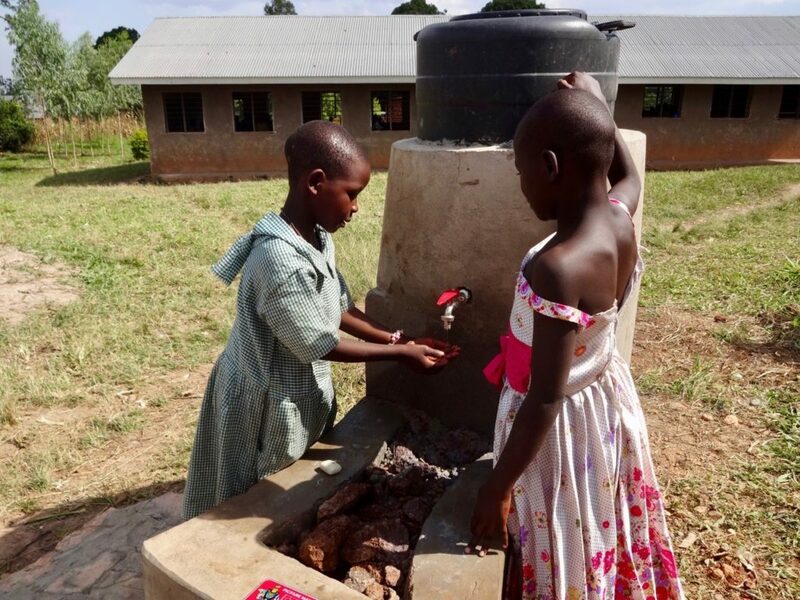 Children at a primary school, in Hoima District, Uganda, test out their new hand washing facility, installed with the UK Aid Direct Dignity for Girls project from ARC. UK Aid Direct team was delighted to hear that grant holders Pump Aid, had been awarded the International Aid and Development Award 2017 UK Charity Awards. 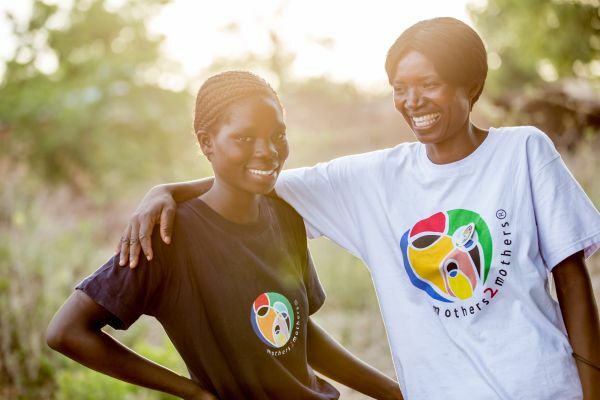 The London-based development charity achieved this award for their innovative small business approach to relieving water poverty in Malawi. UK Aid Direct’s GPAF grant for ‘Sustainable safe water for rural communities in Malawi’ project, contributed to this achievement.